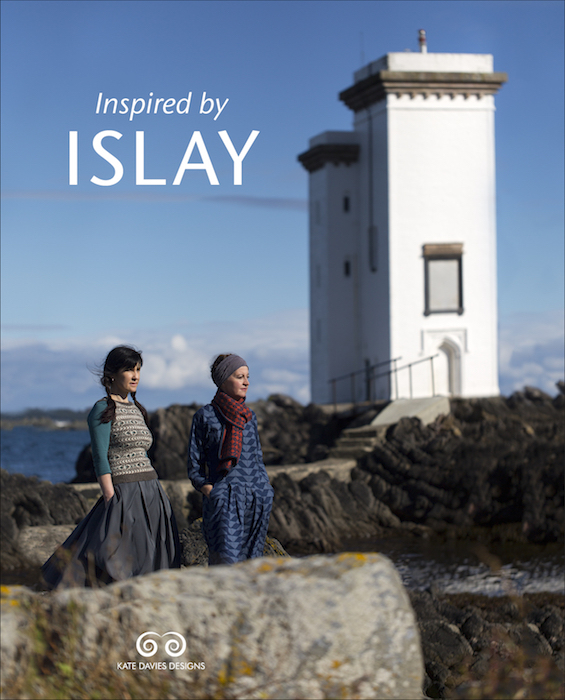 Follow author and knitwear designer Kate Davies on a journey to Islay and discover the unique geology, wildlife, history, archaeology, literature and folklore of this small Hebridean island. 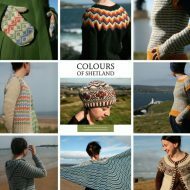 The book includes a beautiful collections of 12 designs, as well as four essays by Gordon Yates, Anna MacQuarrie, Jane Hunter and Susan Campbell. 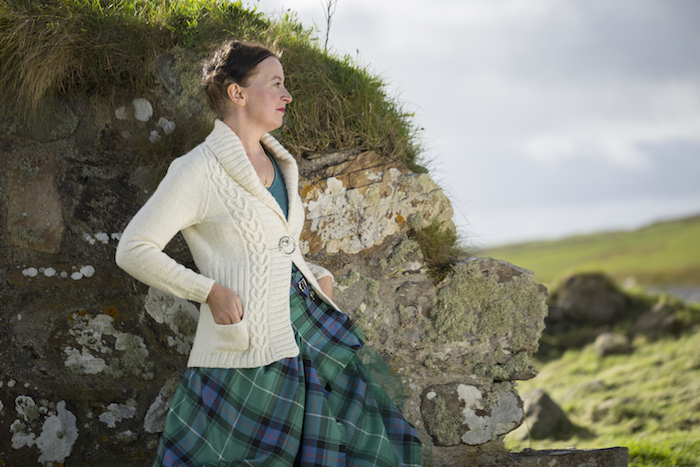 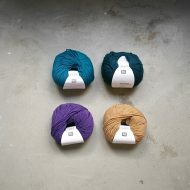 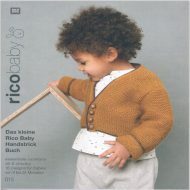 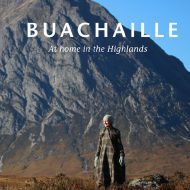 Patterns from this collection have all been designed from Kate Davies’ own Buachaille yarn. 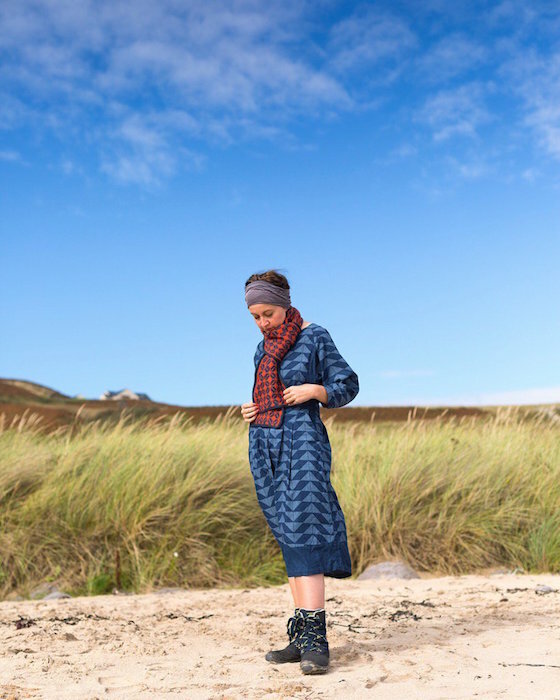 Kate Davies lives in a small steading on the edge of the Scottish Highlands where she loves writing, designing, and walking in the wonderful landscapes that surround her. 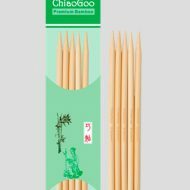 She finds that each of these activities has a creative and a critical dimension and the best of possible worlds is one in which she productively combines them all. 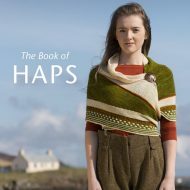 She has a doctorate in eighteenth-century history, and have written books, essays and feature articles on a wide range of topics from the American Revolution to the history of lace. 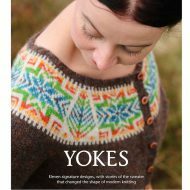 Kate has particular expertise in textile history, women’s history, and design, and these interests are combined in her popular books Colours of Shetland (2012), Yokes (2014), The Book of Haps (2016) and Inspired by Islay (2017).